For Android users, a new icon will appear in the top right corner of the media upload screen. Using this icon will allow them to upload 10 photos or videos from their gallery. In the next step on the editing screen, each photo can be edited individually and Instagram’s creative tools like stickers and text can be used on each media. Once done with editing, all the media will be uploaded simultaneously to the stories feed. The order of their appearance will be according to the order in which they are selected. For Android users, the location sticker feature was made easier and more convenient as well. When uploading a media from the phone that was captured previously, Instagram will automatically suggest nearby locations where the photo or video could have been captured. This will not only make tagging media location easier, but it will also be helpful to remember the exact locations even if the person has already forgotten about it. The iOS hasn’t received the update yet, but they might be coming out for the platform in the coming weeks. The suggested location feature might be of great help to businesses that use Instagram for advertisement. If their business (like a Taco Store) pops up in the suggested locations, it might add to their popularity. 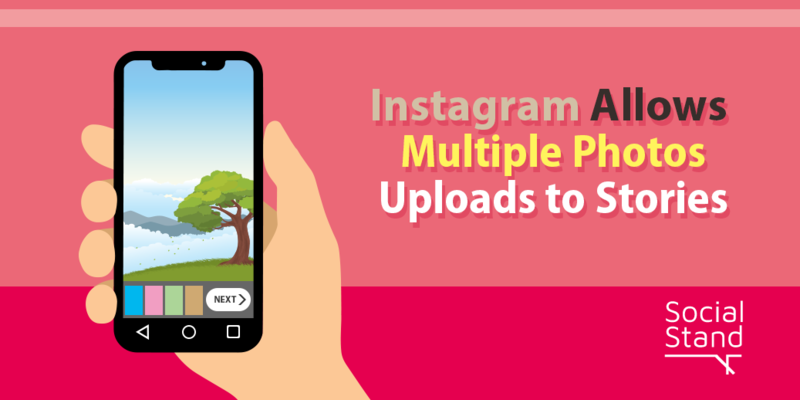 The uploading of multiple photos and videos would make it easier for brands to upload and edit product photos simultaneously, without having to go through the process of uploading each picture individually.